On a Thursday afternoon, February 1992, after coming home from shopping, Pesha Leah (Phyllis) Lapine was murdered in her home. Chabad Lubavitch Archives compiled a brief portrait of her life based on interviews and articles that were published after her murder. On a Thursday afternoon, February 1992, after coming home from shopping, Pesha Leah (Phyllis) Lapine was murdered in her home. Neighbors and relatives said the Lapines were well-known for their generosity and had a wide circle of friends. She adopted the Jewish name Pesha Leah and he used Chaim Dovid. Mrs. Lapine became a faithful member of a group of women on the block who met on Friday evenings to study the Torah. 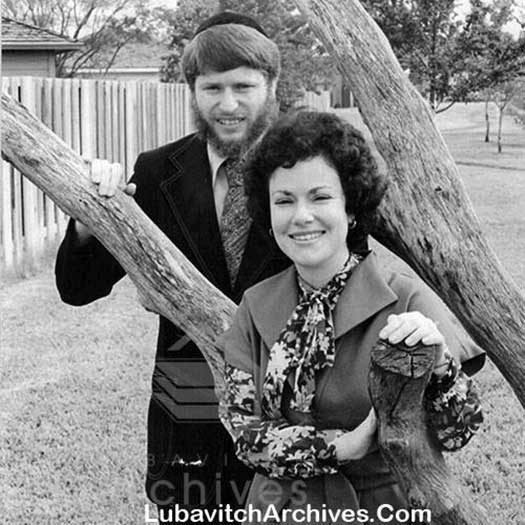 Bracha Levertov, a neighbor who was in her Torah group, said, “She was very outgoing and had real Southern hospitality.” Last year, she hosted a Texas-style barbecue in the Catskills. A few days later as this information was confirmed, the Rebbe, of righteous memory, spoke about the murder and how painful it is not only for him, the community and especially her children – but the self sacrifice she did knowing that she will not be able to mother her children again. One usually follows the principle of “beginning with a blessing,” – with an obvious and apparent blessing. Nevertheless, there is a matter of immediate and present concern, the passing of a person “al kiddush Hashem,” sanctifying G-d’s Name in public, which took place in this neighborhood. What has happened is totally inconceivable! There is no one to turn to for an answer. Everyone, including myself, is equally confounded. I – and I’m sure you – remain with an open question. To die with sanctifying G-d’s name is a great merit. [But,] it is a young mother with small children who died sanctifying G-d’s name. These children will live long and good years and in that time – if the fulfillment of the prophecy “Those that lie in the dust will arise and sing” will, G-d forbid, be delayed – they will long for their mother. They will even tell their own children of this longing; they will tell them of her lofty spiritual plane, and that she merited to sanctify G-d’s Name in public. And this prompts a question – and the question remains unanswered…. Being taken from her children is a greater self-sacrifice than the sacrifice of her own life. For this means that she must give over the upbringing and education of her children to others. This is the greatest sacrifice possible for a mother. Photo: Pesha Leah Lapine, with her husband Chaim Dovid. What an amazing woman, family, and legacy. You are all so inspirational. May Hashem finally reunite everyone together with Moshiach Now! The Rebbe walked behind the aron to the corner of Eastern Parkway & Kingston. 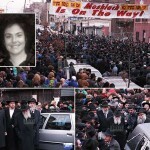 I can still see the pain etched on the Rebbe’s face as he stood watching the hearse. It was a terrible sight that made me fear for the Rebbe, & shortly afterwards, the Rebbe suffered that stroke. The crowd at the levaya was huge… and silent. Nobody spoke, even the children were quiet. Where I was, near the bus stop at the top of Kingston, there was only the sounds of sobbing. I remember feeling near to collapse. 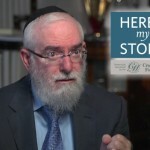 It was, after Gimmel Tammuz, the worst day of my years in Crown Heights. This brutal murder that robbed a family of their Eishes Chayil & a community of a generous and sincere woman, also robbed us of our faith in human nature. Reading about atrocities is different from experiencing them in your daled amos. I didn’t know Pesa Leah HY”D well. We once went on mivtzoim together, we would pass the time of day, but this horror affects me still to this day. I think of her often (my son is friends with hers) and I know that in her children, her devotion to the Rebbe & her community lives on. 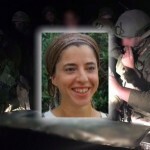 May she be a gutteh bettern for us all – her sacrifice must surely bring Moshiach. I was in 770 and I remember seeing the Rebbe come down the inside stairs from his office, like he often would to then go to the front of the shul, but this time instead he immediately turned left and walked out the door by the former driveway and then turned right and walked down the service road of Eastern Parkway to Kingston Avenue. I had never before seen the Rebbe walk anywhere outside 770 except to the car that was driving him. Then I remember I with others in the Community were protesting at the 71st Precinct every night until they arrested the perpetrator a few nights later. About a week before this happened the person who did this stuck a stick at my back trying to rob me as he pretended it was a knife. This was near the police station with many people around so he got arrested right away. I was asked if i wanted to press charges. He looked like a nebuch mentally challenged. I agreed to press charges when told he had robbed others and he had used a stick not a knife to avoid more charges if caught again. I could see how pesha would not have thought of him as a danger as she left her door open and brought in groceries. I had my picture taken with her as we stood in line to get dollars from the rebbe not long before. She had her youngest child in her arms. She lived only a few doors away from me on lefferts ave.